She told him about her dinner and what the man had said about next week. She’d spent months in place establishing herself, to reach a point where people stopped checking everything she did. It took a while but at last she felt comfortable using the program Craig had given her. It blocked her digital fingerprint on the mainframe at Heath Financial so no one could track what she was doing. She might have an itchy feeling, but after all her hard work and living on the edge for three years she didn’t want to quit before the end. She was determined to get every last scrap of information she could before leaving Lauren Masters behind. What Desmet had hinted at might be what she needed. She fished a thumb drive from a hidden pocket in her jacket sleeve. Craig’s covered hers on the table and that quick he had it and stashed it away. “Not much but every little bit helps, right? I hope whatever I find out next week helps to close the books on Maes,” she added. They each sipped a bit from their drinks, always scanning the pub to see who might be suspect. Lauren had learned by now what signs to look for. At their first meeting, he’d given her two burner phones. One was used to set up their meetings ad well as for any conversation they needed to have between those meetings. The other only had one number programmed into it. His. If she ever had a real emergency, if her work was discovered and a trap set, all she had to do was press one button. 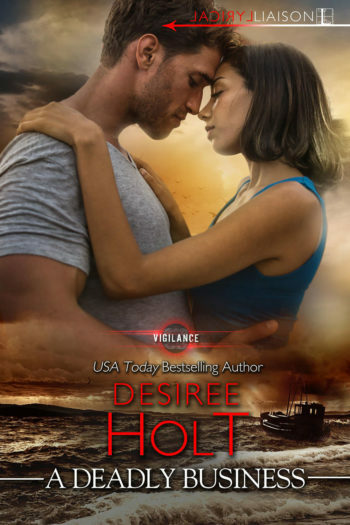 Conversely, if he ever called her on that phone it meant the operation was shut down and she was the get the hell out of Dodge to the prearranged meeting place for extraction. She made sure to carry it at all times. “I will.” She tugged her hat down on her head and started to slide from the booth when Craig reached out and grabbed her wrist. Damn! He had the same feeling she did? Maybe it was time to shut this down. But she mentally shrugged off he thought. As she exited the Dirty Dog she pulled her jacket tighter around her body and turned up the collar. The temperature had dipped again while she was inside and there was a definite sharp nip in the air. Craig’s words echoed in her brain and all at once she felt as if she had a target painted on her back. She constantly looked left and right as she walked with rapid steps to the Tube station closest to the area. A mob still crowded the sidewalks despite the temperature, and she had to fight her way through it, all her senses on high alert. Even when she reached the Tube station she scanned every area the way she’d been trained. Nothing seemed out of the ordinary. Just the usual Friday night late crowd, everything from singles and couples heading home after a night out to the usual lowlifes who seemed to spend their lives in the Tube stations. She was smart and savvy enough, however, to know that didn’t mean anything. Her gaze never rested, moving from person to person, looking to see if someone was staring at her. At each station she was careful to choose where she stood to wait. She changed trains twice, and damn it, why did it seem as if all the cars on the three trains she rode were full past capacity? She had that familiar twitchy feeling between her shoulder blades as if someone was watching her. Or worse yet, aiming a gun at her. Her eyes never stopped moving. Did that guy in the black jacket look at her strangely? Was that a gun in his pocket? Maybe it was the woman watching her form the corner of her eye. At one station she boarded a train then just before it took off, leaped out and waited for the next one. But that twitchy feeling was still there. I haven’t tripped any wires. I know I haven lt. And Craig is just being his usual old lady self. But that’s what he gets paid for. So why have I been feeling this way all week? From the beginning she’d been able to play her part because she knew her handler had her back. She just hoped that neither of them was overreacting. She was exhausted by the time she exited the final stop of the night. Again she searched the streets as she hiked from the train to the building where she entered the tunnel. Were those footsteps she heard behind her? A man was out walking his dog and she closed her hand over the gun in her pocket, just in case. Again she thought, footsteps. When she looked over her shoulder she saw an old man walking with a cane. What on earth was he doing out so late at night? She began to walk faster, hurrying down the familiar street. Maybe she should have stayed at an all night place until it was light before heading home. She raced up the stairs of the building behind her, let herself in and hurried to the tunnel, following it to her building. At last she climbed the inside stairway to her flat with weary steps. She had just pulled her key out to unlock her door when the special phone buzzed in her pocket. Her stomach knotted, knowing this meant something serious. She pulled it out and pressed the button to answer. Then he said the three words no CIA covert agent ever wants to hear. You won't be inundated with emails (she is way too busy) and Desiree will never give or sell your information to anyone. 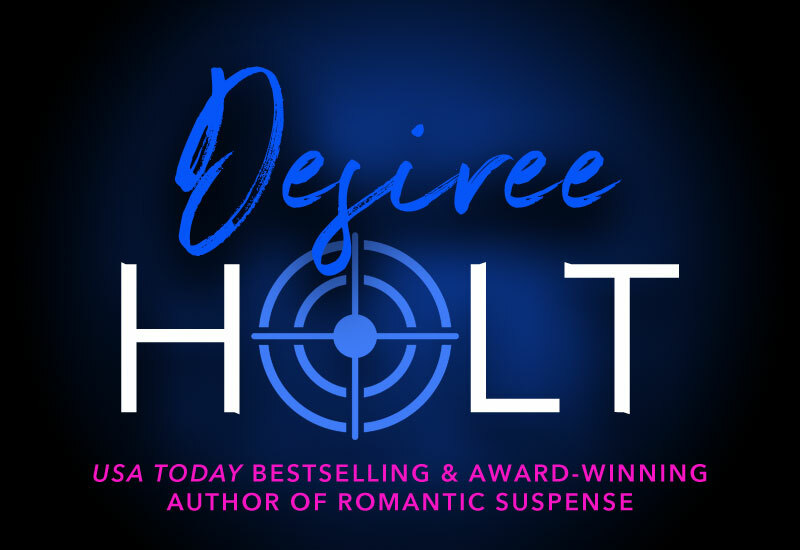 If you are interested in Desiree Holt's books, appearances, or other news of interest, sign up for Desiree's newsletter below. As a special thank you for subscribing, you will also receive her book COLLISION COURSE for free (after confirming your subscription).